The steamer Coolebar was built at Ardrossan, Scotland in 1911 for the North Coast Steam Navigation Co, New South Wales. In 1929 she was transferred to New Zealand ownership and was renamed Himatangi. Returning to service with the North Coast Steam Navigation Co in 1936, she reverted to her former name in 1938. 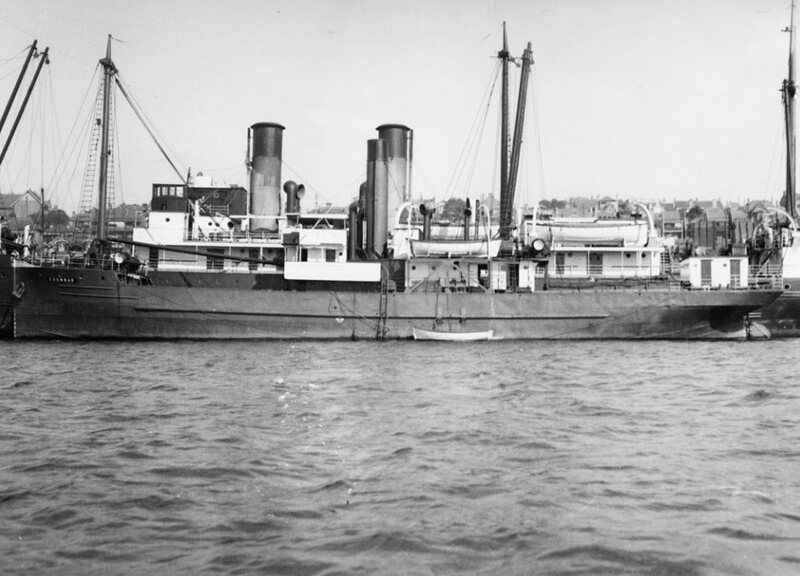 Coolebar was requisitioned for naval service from her owners North Coast Steam Navigation Co Ltd, Sydney, as an auxiliary minesweeper on 20 October 1939. She commissioned on 18 December under the command of Lieutenant Commander Peter M MacIntosh, RANR(S) and operated predominantly as part of Minesweeping Group 50, based in Sydney between 1940 and 1943. On 18 February 1943 Coolebar was paid off at Sydney with the intention of returning the ship to her owners, however, the loss of HMAS Patricia Cam saw her recommissioned as a stores carrier on 1 July 1943 under the command of Lieutenant Kenneth O Shatwell, RANVR. Later that month she sailed for Darwin calling at Brisbane, Townsville and Thursday Island enroute. 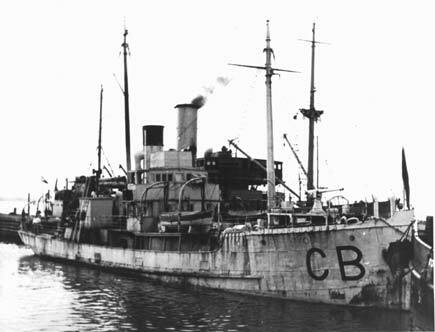 HMAS Coolebar was commissioned into the Royal Australian Navy on 18 December 1939 to operate as part of Minesweeping Group 50. Coolebar arrived in Darwin in early August and was soon operating as a tender vessel to the shore establishment HMAS Melville. In January 1944 she supplied HMAML 814 with additional fuel and stores in St Asaphs Bay, Melville Island, in preparation for Operation BULLDOZER, a clandestine operation to insert Allied operatives into Japanese held Timor. Throughout 1944 and 1945 Coolebar continuously carried stores and equipment between Sydney and Darwin until she paid off on 1 June 1945. She was purchased outright by the RAN on 7 December 1945 and was subsequently sold on 17 July 1946 to the firm of AJ Ellerker. In 1947 Coolebar was reportedly sold to Chinese interests and renamed East River. In September 1949 she foundered at Newcastle, New South Wales, and sunk. She was raised in pieces some nine years later.